When a certain package arrived at our home, my youngest daughter freaked out. Bridget, my little fashionista, asked excitedly if she could try its contents RIGHT NOW. Inside the package was a variety of KISS Looks So Natural Lashes and HALLOWEEN imPRESS Press-On Manicure by Broadway Nails. Then she said that they are perfect for her Halloween costume. Bridget loves to accesssorize. She has fun wearing jewelry and doing her nails and is obsessed with red lipstick. She’s 10 so I don’t let her wear makeup unless she’s playing dress-up. 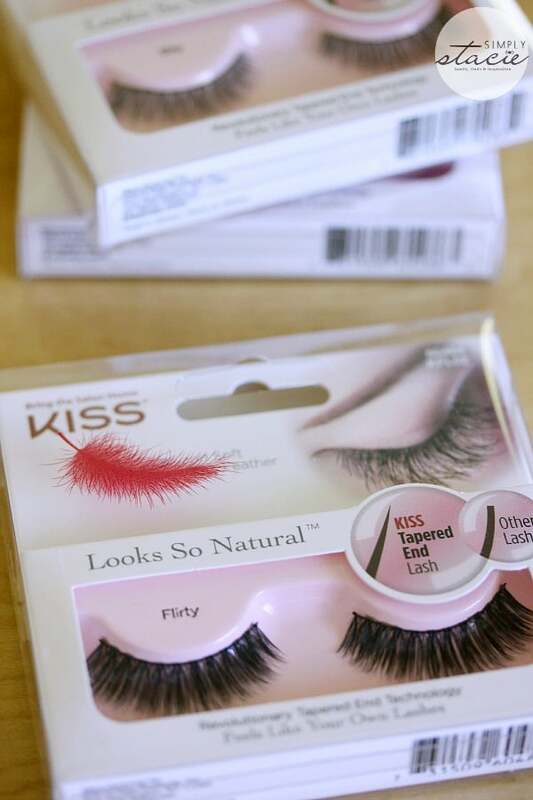 We received three packages of KISS Looks So Natural Lashes in Sultry, Flirty and Shy. I took a pair to wear for Halloween and gave the other two pairs to Olivia and Bridget for their costumes. I’ve only worn false eyelashes once. They were outfitting people in eyelashes at a blogging conference I went to a few years back. I loved how they looked, but never bothered to try them again. I was intimidated and thought they’d be too hard to put on and take off. KISS Looks So Natural Lashes uses a Tapered End Lash Technology to give you lifelike lashes that blend seamlessly with your own. They also have a thin lash band making them weightless and comfortable. 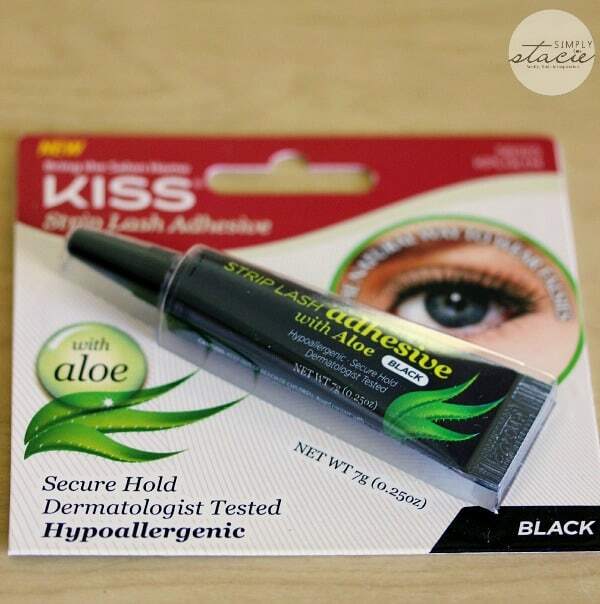 It also came with KISS Strip Lash Adhesive with Aloe to secure the lashes. KISS Looks So Natural Lashes (SRP $4.97) and KISS Strip Lash Adhesive with Aloe (SRP $$3.97) are available at Walmart if you want to pick some up for yourself. 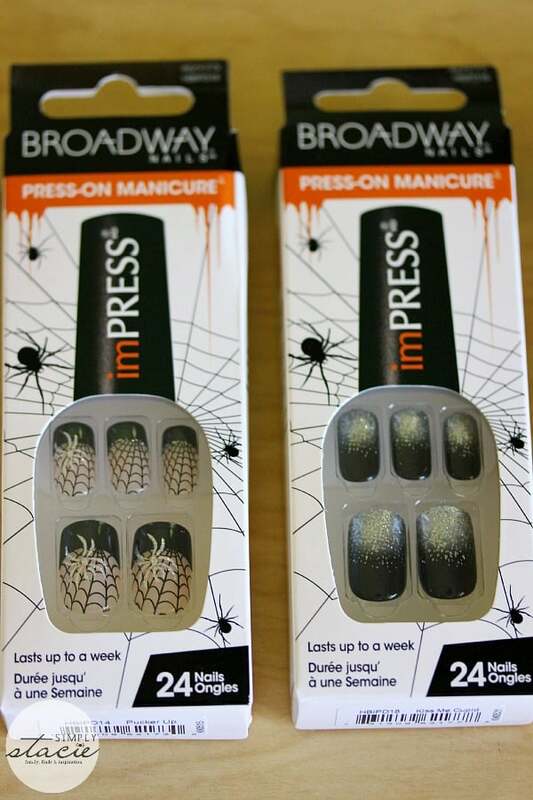 The HALLOWEEN imPRESS Press-On Manicure by Broadway Nails delivers a spooky manicure in minutes with no polish or intricate design skills required! 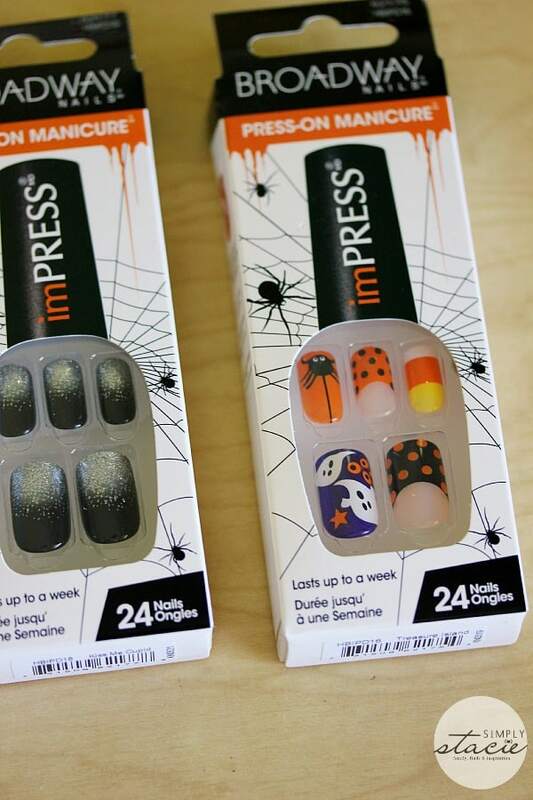 Each package contains 24 nail covers in 12 sizes and there are 6 Halloween patterns to choose from. There is no way I’d be able to do nail art as cool as this on my own! 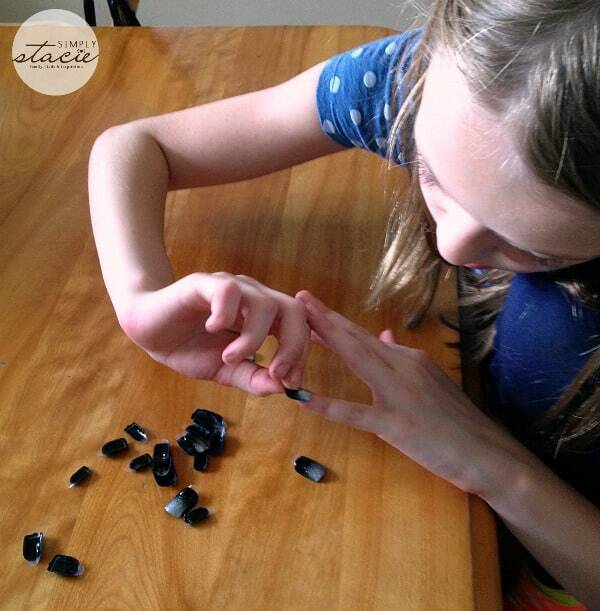 The nails are also very easy to apply. Just peel-off the the back and stick on your nail. 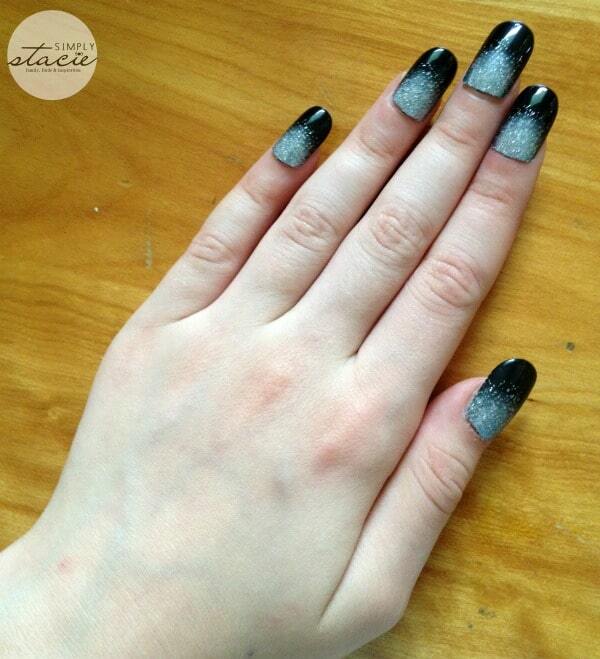 They use SafeHold® Adhesive Technology that won’t damage your nails. I was glad to learn that because I’ve ruined my nails once when I tried fake nails in the past for my wedding. Bridget wanted to try some out right away. She put them on herself with my help on the last few fingers. How very glamourous! She can wear a set with her costume for Halloween this year. 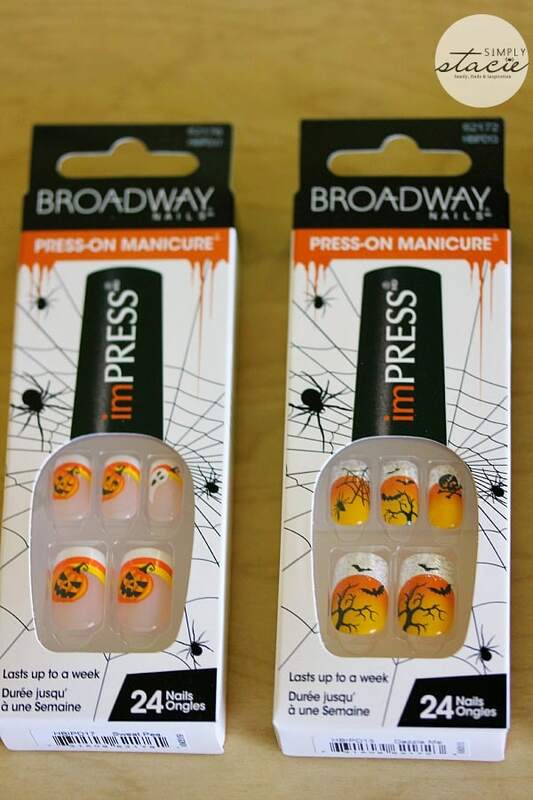 You can pick up HALLOWEEN imPRESS Press-On Manicure by Broadway Nails at London Drugs, Lawtons, Pharmasave and Familiprix for a SRP of $8.00. I would wear them all over, everywhere. I love Halloween and have no problem even wearing them as day to day nails even after the Holiday 🙂 . Love this contest thanks for chance. I’d love them for my daughter.